Hey Element Church! 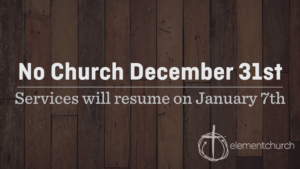 Don’t forget that we are giving ALL of our staff and volunteers this Sunday off, so no church on December 31st! We have the most amazing volunteers on the planet. Many of them serve every week! This is a great way to bless all of our volunteers, along with our staff, to be able to spend the day with their families and worship together somewhere else. Our family will be choosing to worship somewhere here in town or in the area! I would encourage you, not to just stay at home, but to choose a place of worship where you have friends or family who attend and support their ministry as well. 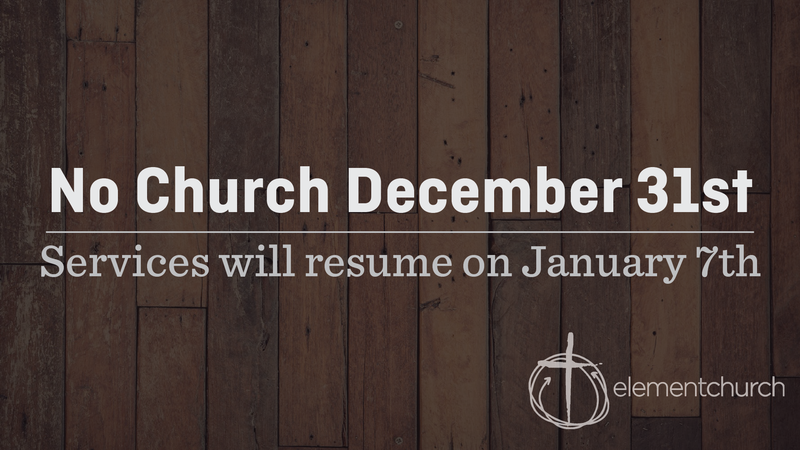 See you on January 7th at 9:00 AM, 11:00 AM or 6:00 PM.